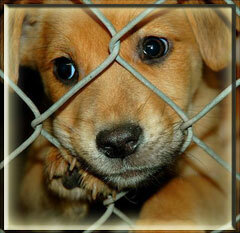 Another way you can help is to donate money to your local shelter. Many animal shelters also accept donations of pet food, toys, and blankets. If you can’t donate resources, donate your time. Our local animal shelter is always looking for volunteers to help out with the dogs and cats. This might include feeding, watering, cleaning pens and cages, washing bedding, or just playing with or exercising the animals. This will improve the social skills of the animals and will hopefully help them find a good home. Some animal lovers believe that no-kill shelters are actually less humane than traditional shelters. They think that some fates are worse than death, and that it’s cruel for an animal to spend all its time in a small cage. Others argue that life is always better than death and highly approve of no-kill shelters. Among those who are concerned with animal welfare and the plight of unwanted animals, the debate about no-kill shelters has continued for several years now. With the millions of stray, feral, and unwanted dogs and cats rescued every year, there are no simple solutions. Even for humans with the very best of intentions, there’s a limited amount of space, time, and resources, and there simply aren’t enough “forever homes” to go around for homeless animals. And then there are the thoughtless people who take a darling little kitten or puppy and when it becomes full grown and is no longer quite as cute and cuddly, turn them out on the streets thinking that they can make it on their own. Of course this is fallacious thinking and can cause much suffering and even death to the animals. Traditional animal shelters often have a very limited amount of space in which to house dogs and cats, and many only keep those homeless animals that are considered adoptable. When a sick or aggressive animal is brought in, they’re often euthanized immediately. This frees up space and money for the pets with the highest chance of being adopted. Of course, when the space runs out for adoptable pets, even some of these dogs and cats have to be “put down” to make room for new additions. Loving a pet means spending quality time with them; gently but firmly training them and putting up with their foibles. Who hasn’t had a puppy chew up a favorite shoe or have an accident inside the house before being fully potty trained?